Albrecht Schmidt holds the chair for Human Computer Interaction at the University of Stuttgart. 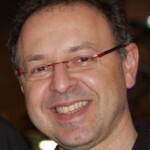 Previously he was a Professor for User interface Engineering and Pervasive Computing at University of Duisburg-Essen. In 2006/2007 he had a joined position between the University of Bonn and the Fraunhofer Institute for Intelligent Analysis and Information Systems (IAIS). He studied computer science in Ulm, Germany and Manchester, UK and receive in 2003 a PhD from the Lancaster University in the UK. His research interest and expertise is in human computer interaction. Albrecht published well over 200 refereed publications and his work is widely cited. He is co-founder of the ACM conference on Tangible and Embedded Interaction (TEI) and initiated the conference on Automotive User Interfaces. 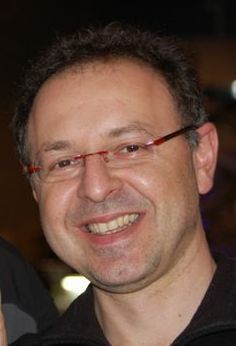 He is an associate editor in chief of the IEEE Pervasive Computing Magazine and edits a column on invisible Computing in the IEEE Computer Magazine.